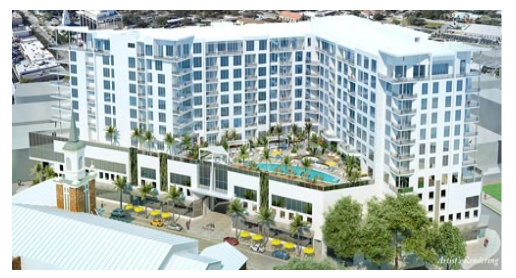 A striking new expression of Sarasota Modern architecture, The Mark is an exciting new landmark destination, and it offers downtown Sarasota's most complete luxury lifestyle.The ground floor features 35,000 sq. ft. of retail space offering opportunities for upscale dining and shopping. Innovative condominium residences feature open floorplans and terraces designed to provide indoor-outdoor Florida living and showcase panoramic city views. Residents will also enjoy the peace-of-mind of 24/7 security that includes controlled access at all entry points and a 24/7 manned secured lobby.